To start a fiscal year is an accounting year that does not end on December 31. And during the 1970s New York City was in a crisis, on the point of bankruptcy, New York was 430 million dollars in debt and it was coming time to pay. Yet the city did not have all the money they only had 34 million in hand. The crisis was brought on by the mass movements of middle class residents from the city into the suburbs which essentially took a large portion of the city’s tax revenue away. Although on the brink of bankruptcy the city managed to get out of it after the teacher’s union announced that it would make up the city’s 150million dollar short fall with their pension funds. 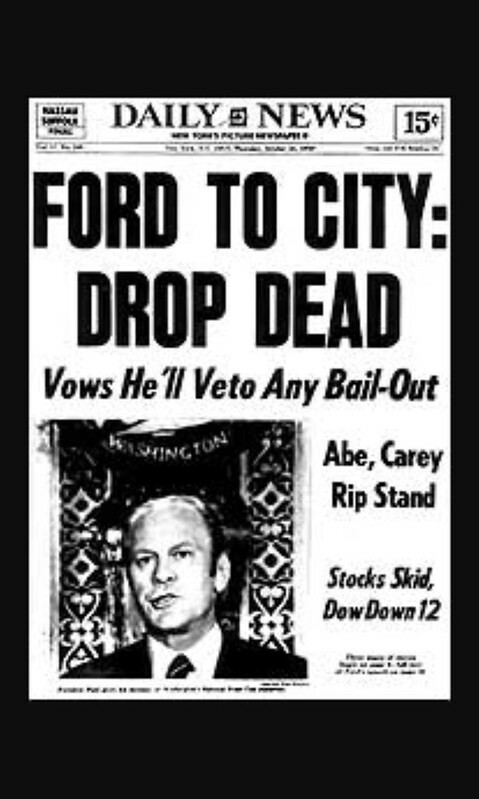 And with president ford signing the New York City Seasonal Financing Act it gave the city 1.3 billion dollars in federal loan over a span of 3 years.